We explain to you the work in progress, the first discoveries, the main challenges, and the historical context of this unique restoration. A legendary façade. A historic restoration. 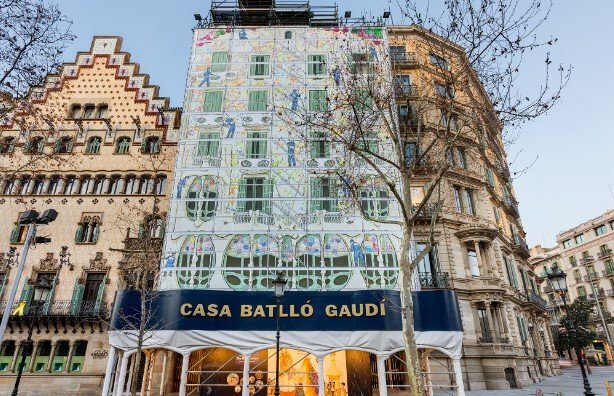 The façade of Casa Batlló, one of the most famous in the world, is experiencing a historic moment, one that very seldom occurs. From February to May 2019, professionals from 7 different fields will be working on the façade to clean it, restore it and apply different conservation techniques. 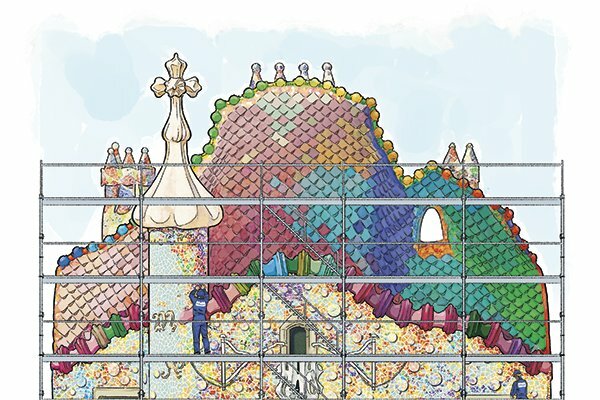 Ceramic, glass, wood, iron, stone… The façade of Casa Batlló is a festival of materials and creativity, making these tasks both a demanding and exciting challenge for all the professionals involved. In fact, the canvas that will cover it during this time is a tribute to all of them. In essence, the intervention seeks to recover the façade’s original shine, light and colour, contributing to the preservation of the splendour and authenticity of this World Heritage monument. One of the biggest challenges is to coordinate the different teams involved, based on the time scheduled for the work. This planning is subject to weather conditions, another of the key aspects of this process, given that, at any time, the humidity and rain can affect the anticipated setting and drying times and, as a result, the general planning of the intervention. 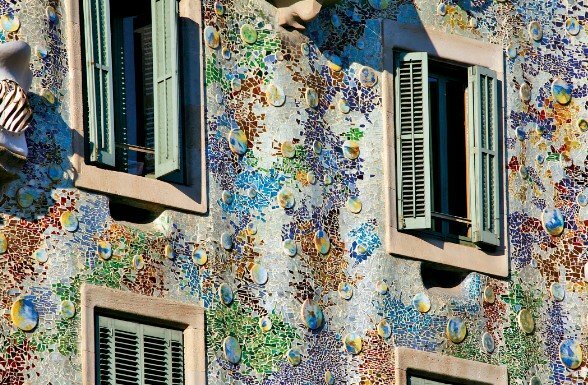 To understand the intervention on the façade and its complexity, is to understand the actions of Gaudí. 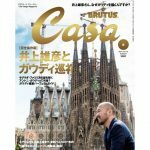 Casa Batlló is the result of the renovation of a neoclassic building built in 1875. 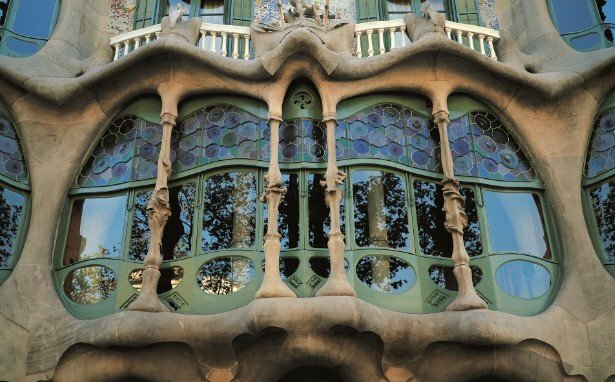 Gaudí added his modernist façade between 1904 and 1906, a coating attached to the original, full of small undulations that resemble the waves of the sea, meaning that the appearance of the light on the façade is different depending on the time of day. A canvas of ceramic and glass, which also includes architectural solutions of other materials (stone columns, wrought iron balconies, large wooden windows…). As occurred with the rest of the building, it is important to understand the deterioration suffered by the façade between the 1950s and the 1990s, that is, from when the Batlló’s children sold the building in 1954 until it was purchased by the Bernat family in 1993. 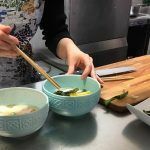 During these decades, the building was home to different companies and tenants, suffering several interventions that are very different to the care given to this heritage site today. Nowadays, any intervention receives the approval and monitoring of the competent heritage bodies of Barcelona City Council and the Regional Government of Catalonia, following a long-term plan that has been agreed and approved by these bodies, the owners and the architecture and restoration teams involved. In the case of the façade, this path of restoration and maintenance began in 2001, when a full restoration was carried out over a 5-week period. The priority interventions were focused on resolving the problems with the façade’s glass trencadís, a type of decoration with broken mosaic, and on implementing a general cleaning. Today, 18 years later, taking advantage of the global restoration process that is currently taking place at the House, it was time to once again look at our façade, hear it, feel it, look after it… Do you want to know how? As we have already mentioned, the façade was fully restored in 2001, a few years before being named as UNESCO World Heritage. Now we are checking that the works carried out 18 years ago have developed correctly, verifying that no new pathologies have appeared. At the same time, cleaning, maintenance and conservation tasks are underway, of the different elements composing the façade. 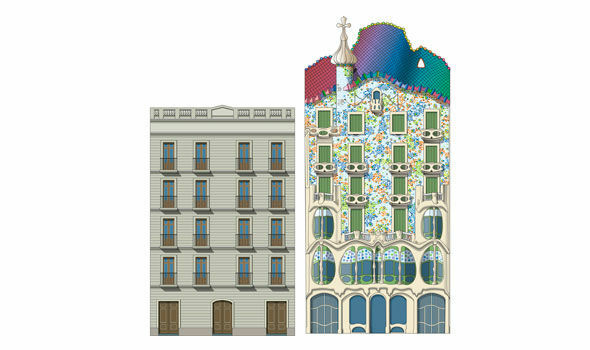 The first challenge is to check that the coating added by Gaudí is perfectly attached to the original façade. To that end, before acting, we listen to the façade: knocking gently by hand we probe the façade to detect if there are echoes. If there is an echo, it means that this area of the façade is detached. To repair these areas, we identify the affected area and we find the way to reach the rear side (by making small holes in the joints or extracting some of the panes of glass). Once this has been done, we fill in the holes with lime mortar. In 2001 we implemented this type of sealing and consolidation, which was very successful, as we have now been able to verify. Now there are simply some small holes to fill in. Another key task is to clean the façade, in order to remove 100% of the dirt, which is basically dust and pollution that has accumulated over the years. To do so, cleaning is carried out in one manner or another, depending on the material. As the majority of the façade is made from glass, most of this cleaning is carried out with water mist at a high temperature. Physical cleaning is also carried out at the same time, by softly scraping with plastic brushes, or with a scalpel when dirt is embedded in the joints. 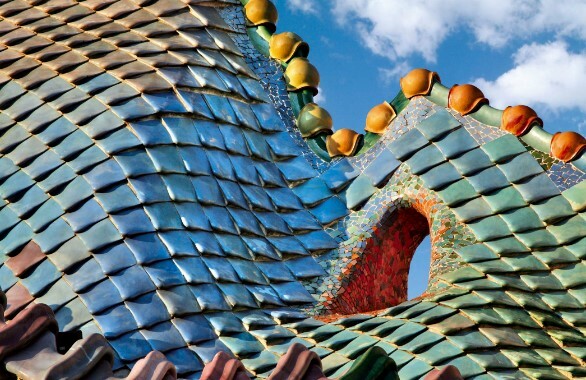 – On the multicoloured roof formed by corrugated tiles that resemble the scales of an animal (what we call the dragon’s back). – On the ceramic discs that are distributed across the façade, amidst the trencadís. – On the cross that tops the crown of the façade. Besides cleaning these tiles, some of them must also be “treated”. When part of the enamel disappears, this sometimes leads to biological life on the tiles (mould, bacteria…). 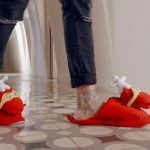 In this case, such biological life must be removed and the tile must once again be protected. 100% of the pieces of the trencadís found on the façade are glass. Besides cleaning them, those that have disappeared over time must be restored. The façade include two different types of stone. Montjuïc stone, visible on the main Gallery, on the Ground floor and on the balcony slabs. The second type of stone that can be found is white Carrara marble, visible on the banisters and balustrades of the First floor. One of the façade’s most striking elements are the balcony railings, made from wrought iron. We will strip them, protect them and paint them. We also discovered certain elements that are damaged, which are currently undergoing restoration and replacement. On the façade, wood can be found on the main Gallery and on 100% of the window shutters. The shutters will be cleaned and restored, and if the wood is broken, new wood will be added to the affected areas with the same characteristics as the original. Most of the wood is early 20th Century melis pine and additions will be carried out with wood from the same period and of the same type, obtained by our restoration team from workshops, dumping sites, warehouses, etc. – The different bonding mortars used on the façade. – The type and ventilation of the wood on the main Gallery. – The colour schemes and original colours of different elements. 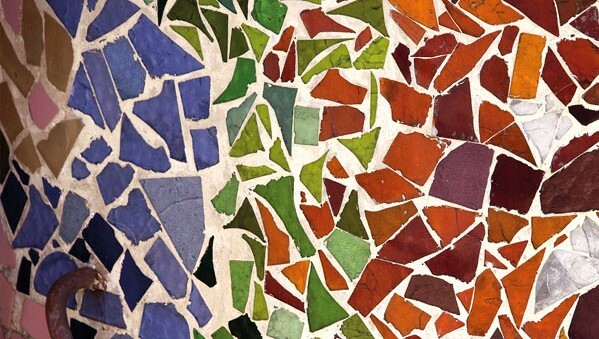 Casa Batlló is currently analysing these discoveries through the corresponding universities. We will inform you as soon as definitive results have been obtained. Streaming of the façade: During the day, a camera located on the scaffolds offers a live transmission of the work being carried out by the different professionals. Skywalk: A walk along the summit of the façade: While the restoration is taking place, we offer our visitors a spectacular outdoor walk along the summit of the façade, at a height of 30 metres. 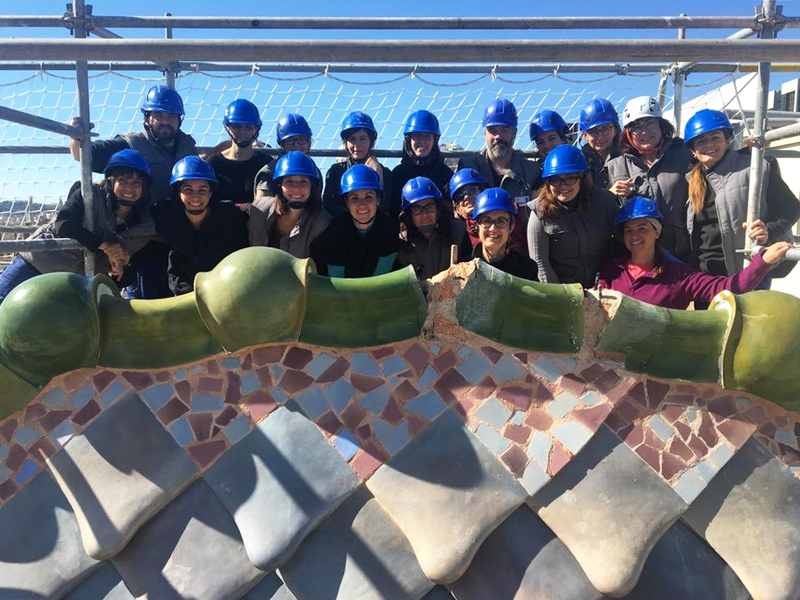 Skywalk is a unique opportunity to get a closer look at the work of restorers, enjoying spectacular views from the roof of Casa Batlló.